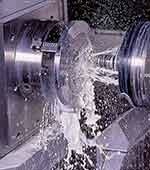 Water-soluble coolant lubricants, based on synthetic esters of vegetable origin, intended for machining by swarf removal or abrasion operations. 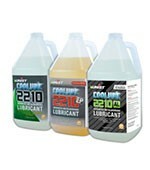 Water-soluble coolant lubricants, based on mineral oil, intended for machining by swarf removal or abrasion operations. Economical and environmentally friendly advanced metal cutting lubricants used for MQL micro-lubrication.Improves performance & increases life of cutting tools, taps, & saw blades. Globe ECO range of vegetable-based machining neat oils. 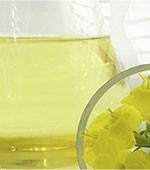 High-performance cutting oils. 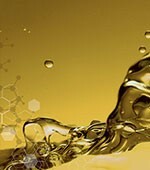 Complete range of lubricants intended for the aeronautics market: soluble and neat oils for machining. Ideal MQL Solution for any continuous metal cutting operation including band sawing, circular sawing, milling, drilling, tapping, and turning. Portable MQL system that is easy to move between machines. 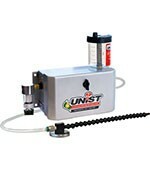 Ideal for drill presses, lathes, saws, and open milling machines where manual control and a single nozzle are adequate. 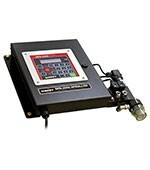 Economical programmable fluid controller with 2 outputs and storage of up to 60 setups/jobs. 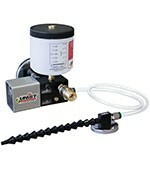 Simple menu-driven software includes ability to monitor fluid level and pressure. 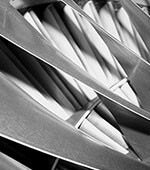 Our lubricants, neat oils or soluble fluids for metal working are used in individual machines or in power plants for the cutting and machining of aluminum and magnesium alloys, stainless steel, titanium, inconel and standard materials such as steel, cast iron and non-ferrous metals. We provide lubrication solutions to reduce production overall costs by enabling you to improve your productivity, improve your Overall Equipment Effectiveness, extend ttools and lubricants lifetime and reduce discharges and lubricant maintenance costs. 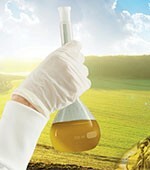 We have developped a complete range of soluble oils and neat cutting oils based on renewable ressources. 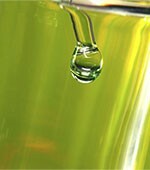 These new bio-sourced lubricants help meet new market expectations while reducing overall costs, extending the life of tools and lubricants, and improving productivity. Our GLOBE lubricants are designed in a manner consistent with hygiene, safety and the environment regulations and good practices. They help improve working conditions and minimize your environmental impact.